Here’s the dirty little secret of how school districts go about improving outcomes: Precious few of them are working on the strategy most likely to bring dramatic progress. Why? Because a combination of policy and cultural impediments inhibits them from doing so. With a new wave of governors, state superintendents and legislators being installed in states around the country, now is the time to start breaking down the barriers that keep districts from focusing on the years before third grade — including early learning — when they have the best chance to make a meaningful difference in students’ lives. So what can be done? 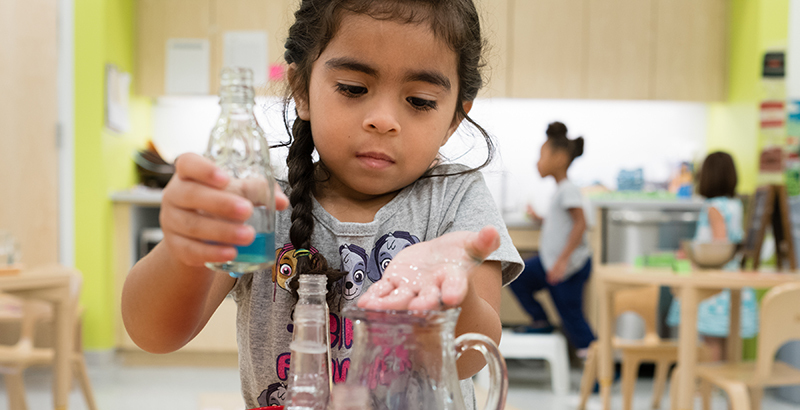 States can include early learning and K-2 in their accountability and school improvement plans, to signal that these years are an essential part of the educational continuum. They can collect better information about how students are progressing in the birth-to-third-grade years to help inform improved instruction and policy. They can focus on building the capacity of school leaders and teachers to understand child development and partner more effectively with early learning providers. And they can rethink their early learning governance and funding structures to strengthen the ability of the early childhood community to work well with K-12. None of this is easy, and none of it will happen fast. But the early years are of enormous developmental importance, and to date they have too often been poorly connected to state efforts to improve educational outcomes. For states to help students reach their full potential will require doing the work needed to improve those connections. There’s no time like the present to get started. Elliot Regenstein is a partner at Foresight Law + Policy, a national education law firm based in Washington, D.C.